It’s horrible. It really is an awful place to visit. Hungry polar bears have even been known to roam the streets looking for food! There, that should do it. That should keep this geographical gem off the radar of the visiting hordes. Ok, I’ll come clean. Stockholm is one of the most beautiful (and clean) cities in the world and we absolutely love visiting. I should also mention, we’ve lived there for three years. So what’s so special about it? Isn’t it cold, dark and miserable? It’s cold and dark in the winter, but oh so beautiful. And even more beautiful in the summer. This is a city built on fourteen islands at the mouth of a lake and the Baltic Sea. These islands continue out to the Stockholm archipelago, where you’ll find around 30,000 more islands and islets that will literally charm your socks off. So, there’s water here, there and everywhere. What else? Do acres upon acres of parks and greenery take your fancy? Not forgetting culture, fine architecture, fashionable people and cutting edge design amidst this sea of blue water and ever so green greenery. And to top all this off, it’s as child friendly as a cuddly toy polar bear. Here are our favourite places to have some fantastic family fun. 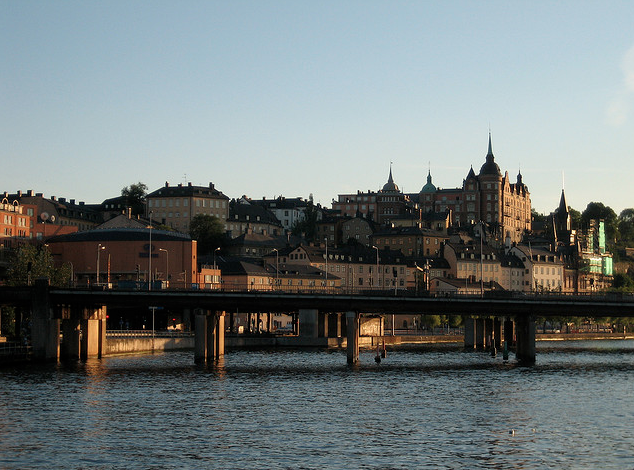 Stockholm Waterfront Walk — Take a stroll from the edge of Södermalm where it meets Slussen. As you walk across Slussen to Gamla Stan you can see Lake Malaren on your left and the Baltic sea on your right. Walk along the waters edge around Gamla Stan (the tourist friendly old town that’s also a must see destination), towards Kungstragarden, Take in some magnificent architecture along the way, this includes The Royal Palace, The Grand Hotel and the National Museum. 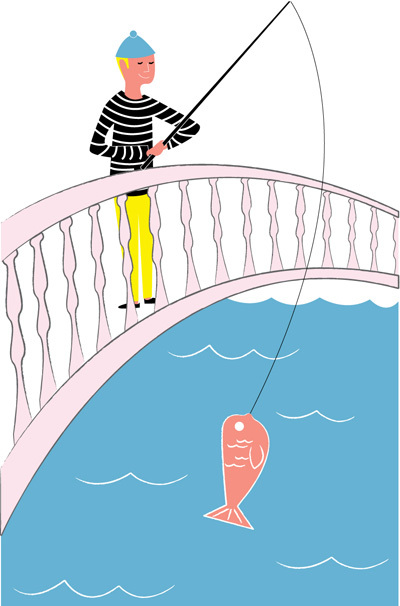 You’ll also come across local fishermen catching salmon. When you reach Nybrokajen (the harbour with lots of tourist tour boats), follow the arc of the dock around and meander slowly down the beautiful tree lined avenue, Strandvagen. There are many landmarks to see as you approach the bridge that goes across to the island of Djurgarden. Once on Djurgarden you’ll find lots to see and do. This really is a wonderful way to see the city. Gamla Stan — You go back in time when you stroll around the narrow cobbled streets of Gamla Stan (Old Town). This is the original Stockholm, most of the buildings are from the 1700’s. It’s a wonderful island to stroll through and pick up some tourist gifts. You might want to bring your Babybjorn on this trip, small stroller wheels really struggle on the very old cobbled streets. Be warned, it can be very touristy, but it’s well worth a visit. And if you’re lucky enough to be here around Christmas time be sure to visit the Christmas market at Stortorget square. Modern Museet — Get inspired at the beautiful modern museum on the island of Skeppsholmen. It has one of the world’s finest collections of 20th and 21st century art. Make sure to visit on Family Sunday, there are fun and educational tours and workshops where your little ones create art inspired by the collections they’ve just seen. When you’ve got your fill of art, take a walk around the island and see all the house boats and views to many impressive landmarks. Fotografiska — The Photographic Museum is new to Stockholm. It’s one of the worlds largest photography museums with some of the worlds biggest names showing. The building is next to the water front and views from the cafe are worth a visit alone. So take in a few floors of photos, even if some of the photographs are a bit racy it’s a great place for kids to spend a few hours and learn about art. Sightseeing Boat Tour — See Stockholm from a boat. It’s a wonderful way to explore this city of islands. There are many different tours you can choose from, but the Hop on Hop off is probably the best way to go. Kids love taking a boat trip! If you don’t get a chance to take a boat tour, at least take the ferry from Djurgården to Slussen. Sergels Torg — Feel the buzz of the city at Stockholm’s central point. Sergels Torg is made up of a very large pedestrian plaza with an iconic black and white triangular pattern. The plaza is surrounded by a busy roundabout with a tall glass obelisk at its centre. Three busy streets converge and there is lots of shopping and the imposing building Kulturhuset (www.kulturhuset.se) and the Stockholm City Theatre. Hotel Rival — We love to stay at the Hotel Rival when we visit for long weekends. It’s a very cool boutique hotel on the island of Södermalm, part owned by Benny from ABBA. It used to be an art deco cinema, and all the rooms are themed with swedish film stars. The rooms are not large, but immaculate and everything is well planned and they make the most of the space. The staff are really friendly and helpful, the breakfast is delicious and the hotel is located in a picturesque square with a fountain at it’s heart. Bostad direkt — When staying for a longer period sublet a house or flat. This is a really great way for a family to stay in Stockholm and feel like they are getting the most from the city. It’s very easy to find cool houses and apartments that are fully furnished and are a home away from home. Since many Swedes go away for a month in the summer lots of them tend to sublet through Bostad direct. Djurgården — This Island was originally used as a Royal game park, keeping deer, reindeer and elks. It’s now home to some of the cities best places for kids to have fun including Skansen, Vasa Museum, Rosendals, Junibacken and Grona Lund. Skansen — This is the world’s oldest open air museum. It has old buildings from all over Sweden, a zoo with Scandinavian animals and if you are lucky enough to be here at christmas time make sure to come for the Christmas market. Vasa Museum — The museum holds the only (almost) fully intact ship from the 17th century. The vasa ship was built too top heavy and sank only 2 km from land on its maiden voyage. It was forgotten about until the 1950’s and was brought up in 1961. This is an incredible thing to see, the ship is unbelievable and its story is so interesting. Rosendals Trädgård — Rosendals is an impressive botanical garden and cafe. It is worth the hike up the hill on Djurgården. The gardens are immaculate and the food is delicious. Spend a sunny afternoon exploring the gardens and picking flowers and fruits then have a picnic in the apple orchard. Gröna Lund — Gröna Lund is an amusement park on Djurgården, right next to the water. It’s great for older kids! It’s a lovely old-fashioned amusement park with carousels, roller coasters, games, and lots of fried food. Make sure you ride the swing carousel, it swings you right over the water. When it’s time to go home, take the ferry to Södermalm, it’s the most picturesque, fun way to leave the island. Playgrounds — When you’re wandering around the city you’ll find lots of little parks, squares, fountains and playgrounds perfect for playing for a little while and enjoying an ice-cream or having a picnic lunch. Stockholm is such a family-friendly city. All the restaurants have highchairs, changing stations, offer children’s meals, and you don’t get a judging look from staff when you bring your family in. Enjoy Fika (coffee break) — This is something that most Swedes do everyday around 3 or 4. Make sure to stop at one of the hundreds of fantastic cafes and enjoy a cup of coffee and a Kanelbullar. Pelikan — A traditional swedish restaurant. It’s cosy and dark with high ceilings and art deco paintings. If you want to enjoy some traditional hearty food, this is the place! Gondolan — Gondolan is probably the most famous restaurant in Stockholm. It has incredible views and delicious food. The restaurant is suspended under the Katarinahissen walkway. It is very narrow and long with windows on either side, so you are looking over the entire city. It’s popular with tourists but still a favourite spot for locals. It can get really crowded and might be a bit tricky with kids if you come during a busy time. But make sure to have a stroll across the walkway above the restaurant. There’s a lift that takes you up there or you can walk across from Mosebacke Torg. Mosebacke — Mosebacke is a very family friendly beer garden during the day and a music venue at night. Make sure to stop off for a pint of beer and a great view. Kids and dogs are more than welcome. Then walk over to Katarinahissen walkway above Gondolan and take some pictures of the islands of Stockholm. Urban Deli — Urban Deli is new to Stockholm. It’s a restaurant, bar, cafe, bakery, and grocery store. It has the feel of Dean and Deluca in NYC. A great place to get something to take away and have a picnic on Nytorget or to eat in at the restaurant. The food is delicious, well presented and creative. This is a great place to eat when you’re wandering around SoFo. Blå Porten — This is a very popular place to eat on Djurgården. Very low key and relaxed. You get your food cafeteria style, so help yourself to beautiful sandwiches, cookies, fruit or order the delicious salmon or quiche at the register then grab a seat in the lovely garden. There are lots of small tables and lots of large tables to share with strangers. So don’t be shy, just grab a seat and make some new friends! Rosendals Trädgård — Also on the list of places to play, you should make sure to have lunch here, or at least fika! The cakes are so special and delicious. and i think, taste even better when eaten while sitting under an apple tree in the orchard. Nyfiken Gul — This outdoor restaurant is on the south side of Södermalm, so it’s a bit out of the way, but worth the trip. It’s hidden in a leafy spot just by the water. You can order your meats and sides and grill your own meal, or get something ready made. This place is like a little summer bbq party with friends in a quiet green leafy area. Wayne’s Coffee — Wayne’s Coffee is Sweden’s answer to Starbucks (you’ll only find a Starbucks at the airport). It’s a large chain with dependable coffee and sandwiches, an easy and kid friendly place for a quick coffee or juice. Blooms Bageri — Blooms is a little cafe near Mariatorget on Södermalm. Incredible pastries and breads! But if you can’t make it to Blooms, you won’t have a hard time finding delicious bread in this city. Systembolaget — If you’re planning on buying a beer or bottle of wine for a picnic or an evening in, you have to know about Systembolaget. Alcohol is not legally sold in shops in Sweden, it’s managed by the government to help regulate consumption. So it’s only sold at Systembolaget (or in bars and restaurants) so don’t plan on stopping by the corner wine shop. Make sure you check opening times, they keep strange opening hours. Designtorget — DesignTorget is a small chain of interesting, cool, stores that sell unique, fun things for everybody. You’ll have so much fun in here and will find it hard to leave with out buying something. They have a great collection of kids toys and cute baby accessories. Stockhome — A large funky design store with everything you could need for your home. You’ll find lots of bric-a-brac and cute things that kids will love! This place really has almost everything. Minirodini — Sweden has the best kids clothes and Mini Rodini is the place to find the coolest of cool. It was started by a Swedish illustrator and our kids love it. Polarn o Pyret — Polarn O Pyret now has stores all over the world, but make sure to stop in a shop in Stockholm. They sell bright basics for kids. We are big fans. Uni — Uni is a unisex children’s shop. All the clothes are made in Sweden using soft cotton and non-toxic dyes. The clothes are unique, colourful and well designed. You won’t find anything else like it. Kalika — A great little shop full of fun toys. 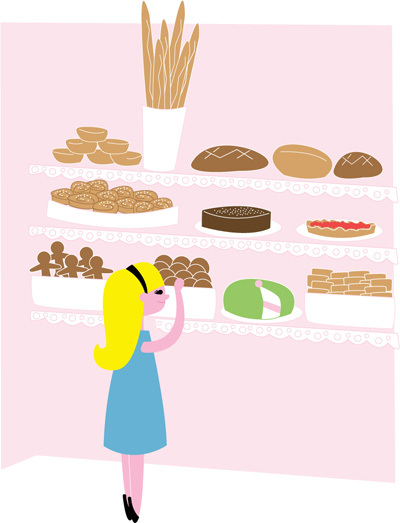 You’ll find lots Scandinavian kids classics here. Tea sets, musical instruments, puppets and crafts too. Basically, they’re a fully stocked wonderful toy shop with very helpful friendly staff. Brio — Brio is the ultimate in classic Swedish children’s toys. Wooden, bright colours, and smart design. These are classics that every kid will play with for hours. Train sets, cars, baby rattles, bricks, pull along toys, etc. You can find Brio toys in most children’s toy shops in sweden. Modern Museet shop — After you tour the museum and eat at the cafe you have to stop off in the museum shop. They have some really wonderful kids toys and books, and of course lots of art prints that would look fantastic in your kids bedroom. I am so glad that you just wrote about this as I was in the midst of planning a trip there! Hmmm, maybe I should count myself lucky. Reading this post from our home in……. guess where…….. Stockholm indeed! Yes it is a fab city, all mentioned above is the post is very true and we are having a lovely time here. Your post is great and Britt should be congratulated on compiling such a helpful and extensive write up on Stockholm, great for anybody wishing to visit. However, i feel i have to highlight that there is another side to Swedish society that doesnt get mentioned often in rav reviews about the city and country. That is that (once a baby reaches the age of 1) both parents work full time, kids spend every day in care, estates and playground are deserted during weekdays and being stay at home mum (like myself) is seen as being a burden to society, you are not contributing…. I get astonished and disapproving looks here when I mention that I like to spend time at home with my 2 small children and almost feel the need to apologise for my choice. I am sure there are exceptions to this, there always are and so I stand corrected, but here in the outskirts of Stockholm, this is very much the case. Don’t get me wrong, I love your post and love reading about this beautiful city and country and a visit here, especially with children will not disappoint. Just sometimes I wonder if those who envy life here so much, know about day to day ongoings and it’s norms, values and culture. Especially since this post is written on a child centred blog, I felt obliged to comment. Many happy visits nevertheless to Stockholm! Oh, lovely that Sweden is on your list of weekend getaways! 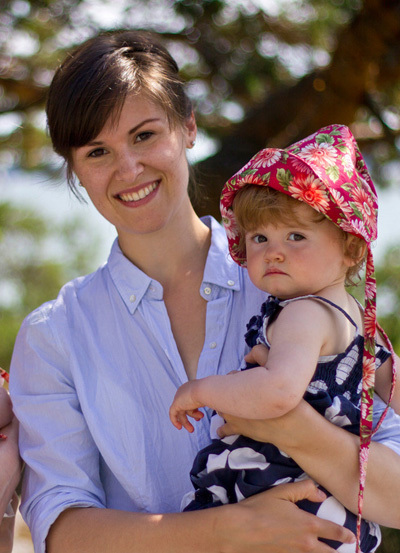 I’m a mother of three, living in Sweden and writing about kids’ fashion on my blog (in Swedish though…) who just found your blog and love both the idea end the design/layout! Don’t miss out on Djurgården if you’re ever in Stockholm during the summer! …but you should try Gothenburg in Sweden aswell, great for kids and lots to do! I have been to this place in stockholm, its amazing to be there with a new concept of “interactive cooking” . The ambiance is also very corporate style and a good place for official meetings and team buildings . Loved your post of all the amazing things to do in Stockholm! We are excited for our visit in April! We are trying to get a few dinner date nights in while we are there and wondering if you have any recommendations on sitter services that will come to hotels?